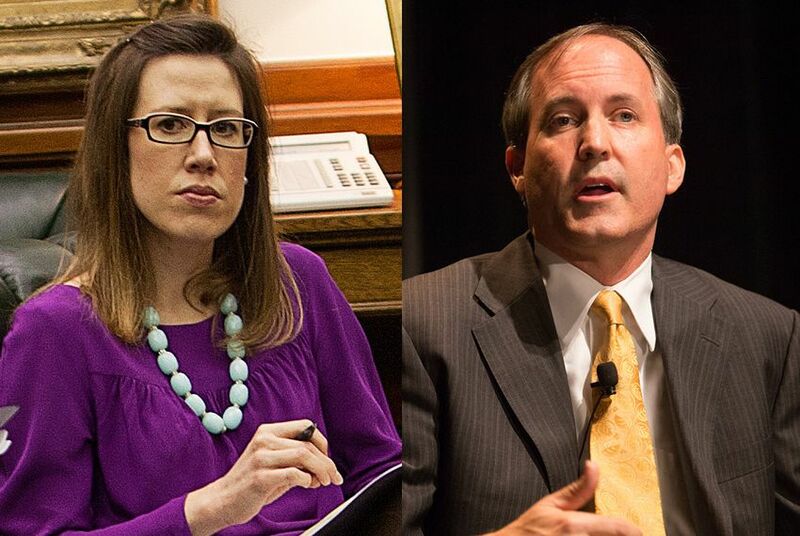 Allison Castle, a former aide to Attorney General Ken Paxton, said Friday that he asked her to resign her post and that she did not ask for nor negotiate a now-controversial departure package. The benefits and compensation deal granted Castle 64 days of paid leave. Another outgoing adviser who resigned at the same time as Castle, first assistant attorney general Chip Roy, received a similar package. Paxton currently faces three state felony charges and a federal civil lawsuit over claims he misled investors in personal business dealings before he became attorney general. He has pled not guilty and denied any wrongdoing in the cases, which he says are politically motivated. Paxton’s office did not return a request for comment Friday afternoon. But earlier this week, the agency’s human resources director John Poole defended both deals — since scrutinized by media reports, and as of Friday, the subject of a liberal advocacy group’s request for investigation from the State Auditor’s Office — in an op-ed. Poole said Paxton "acted in a compassionate, legal, and ethical manner.” He said the AG acted under a provision in state law that permits paid leave for employees for "good cause." Roy, who now works for a super PAC supporting Republican presidential candidate Ted Cruz, later clarified that he was using an "option for leave beyond my earned vacation and holiday time," primarily to cover health care costs associated with his recovery from cancer. He declined to comment for this story. His new communications director is Marc Rylander, a former pastor at Prestonwood Baptist Church, where Paxton is a member. Rylander has supported efforts to cut payments to special prosecutors appointed to pursue the financial fraud charges the attorney general currently faces in state court. Paxton tapped Jeff Mateer, the former general counsel for the First Liberty Institute, to replace Roy as first assistant attorney general. He also hired that Plano-based conservative legal defense foundation’s deputy chief counsel, Hiram Sasser, as his chief of staff. Paxton’s ties with the group date back to the start of his political career. He has credited First Liberty’s executive director, Kelly Shackelford, with helping to plant the seed that Paxton run for the Texas House in 2002.